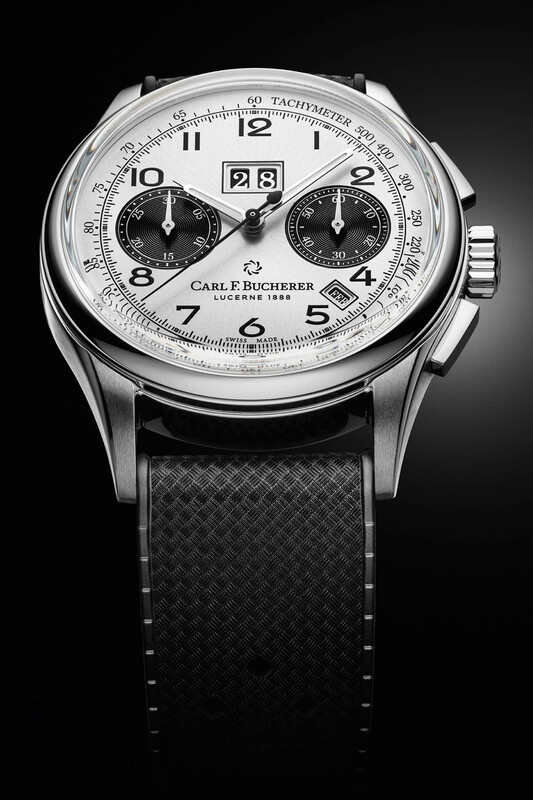 Retro-style, automatic chronograph and annual calendar for Carl F. Bucherer's new model. 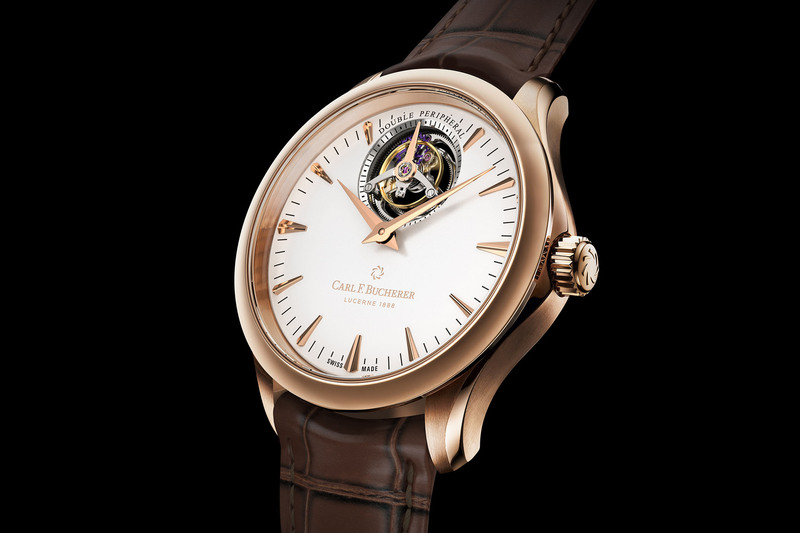 If Carl F. Bucherer is nowadays mainly known for its pioneering use of the peripheral rotor – see our in-depth article here – the brand has more to offer than this. 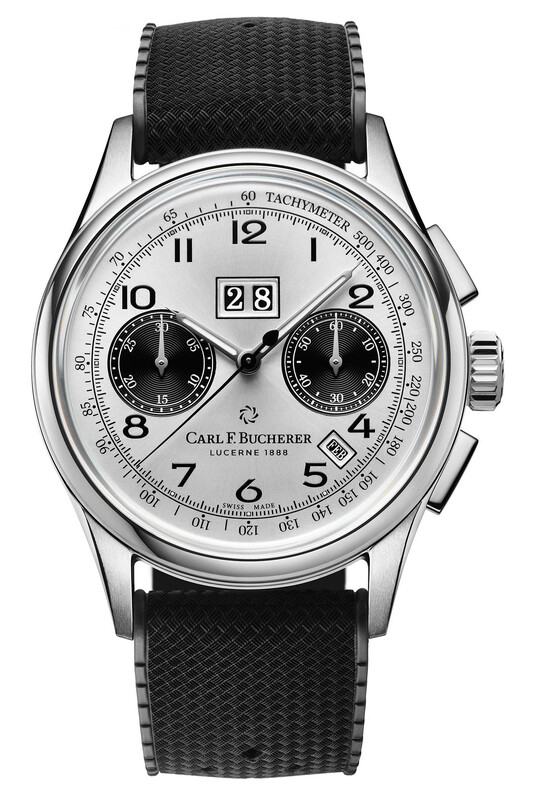 The latest addition to the Carl F. Bucherer Heritage collection is an ode to the 1950s regarding its design but is a modern take on watchmaking, as it combines an automatic chronograph with the practicality of an annual calendar. 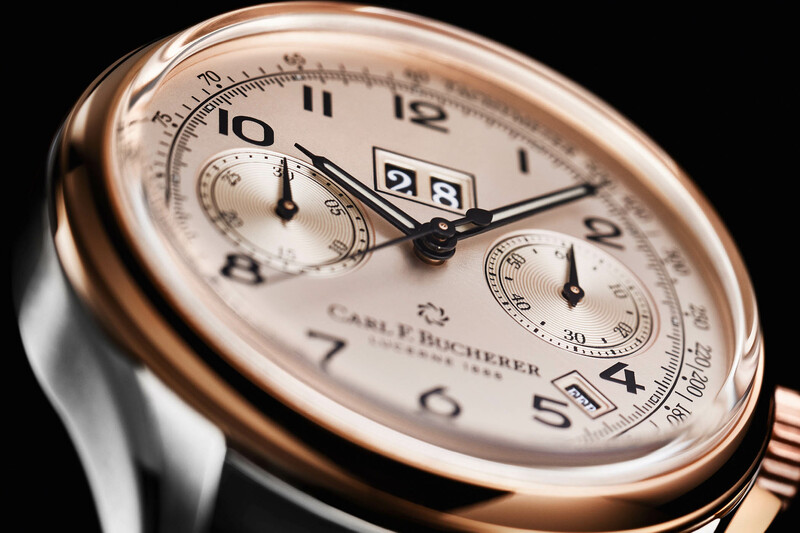 Meet the Carl F. Bucherer Heritage Chrono BiCompax Annual. 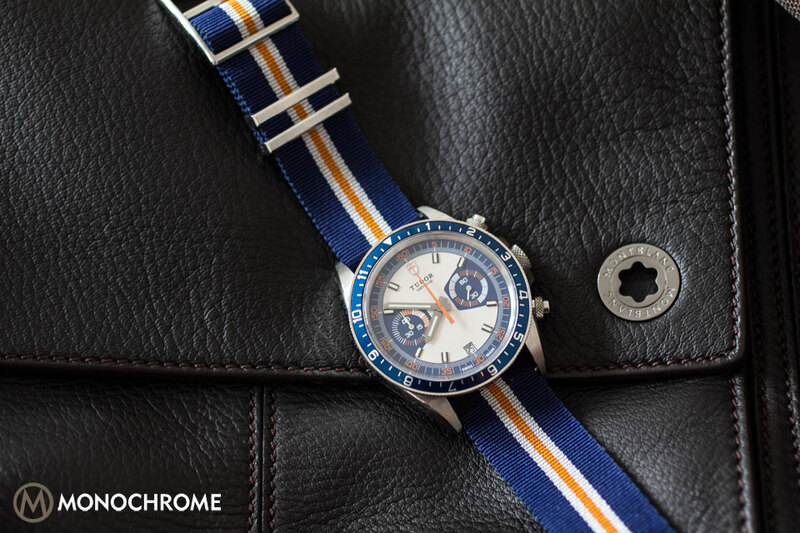 The design of the Heritage Chrono BiCompax Annual didn’t materialise out of the blue. 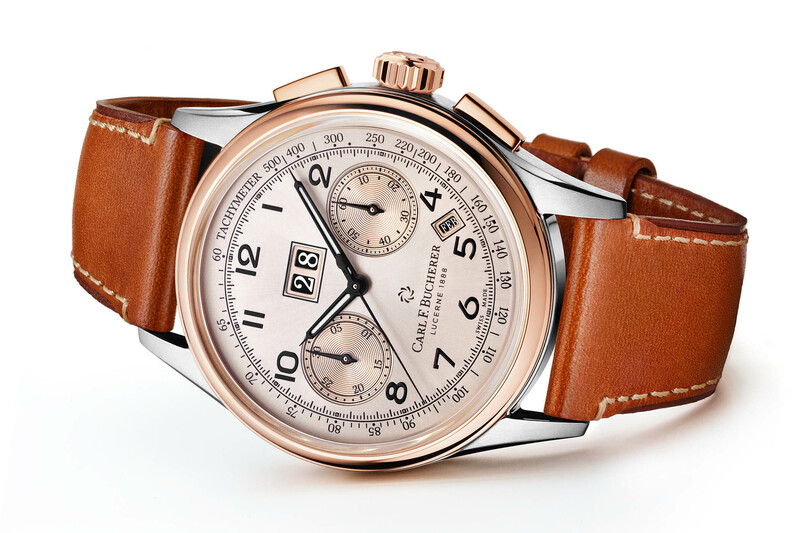 It is, in fact, inspired by a 1956 chronograph produced by the brand. According to the brand, this watch had “curved lines, a delicate 34mm case combined with the elongated chronograph push buttons giving the watch a sporty look, while gold plating added a touch of elegance”. Its dial featured a symmetrical BiCompax design. All these ingredients served the watchmakers at Carl F. Bucherer as inspiration for the Heritage BiCompax Annual – a modern reinterpretation of the original classic. The new model adopts more contemporary codes with a larger (still reasonable) 41mm diameter. Yet, the design of the case, with its curved lines, the highly domed sapphire crystal and the elongated push buttons for the chronograph clearly have that 1950s retro feel. The lugs are thin and combine brushed and polished surfaces for a dynamic look. Due to the rather complex automatic movement, the case is on the thick side, with a height of 14.05mm. 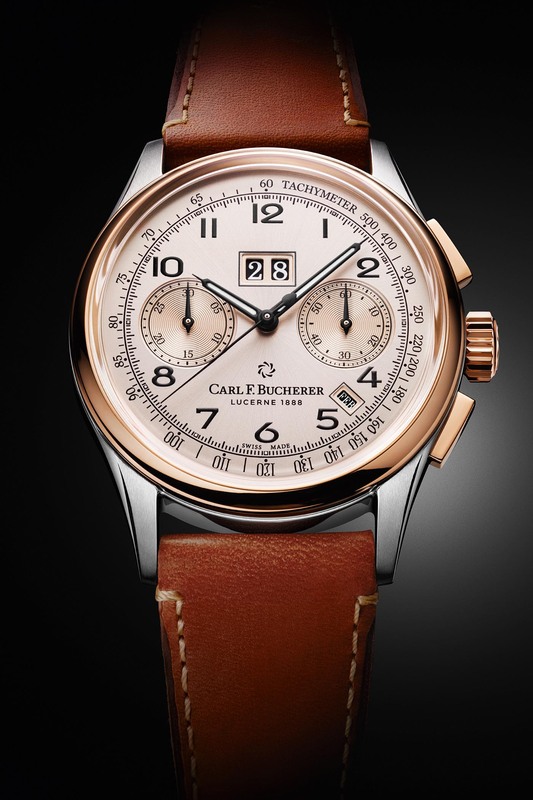 The Carl F. Bucherer Heritage Chrono BiCompax Annual will be available in two different editions, each limited to 888 pieces. 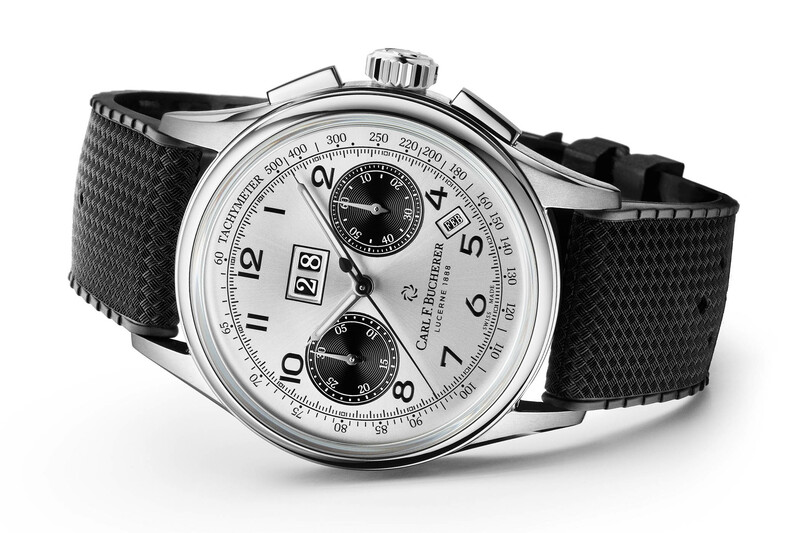 The first one is a classic, sporty take on the chronograph, with its silver dial featuring black markings and sub-counters (sort of Panda-like). It is worn on a modern embossed black rubber strap. The second version of the Heritage Chrono BiCompax Annual is more opulent and features colour codes that are dear to the brand. 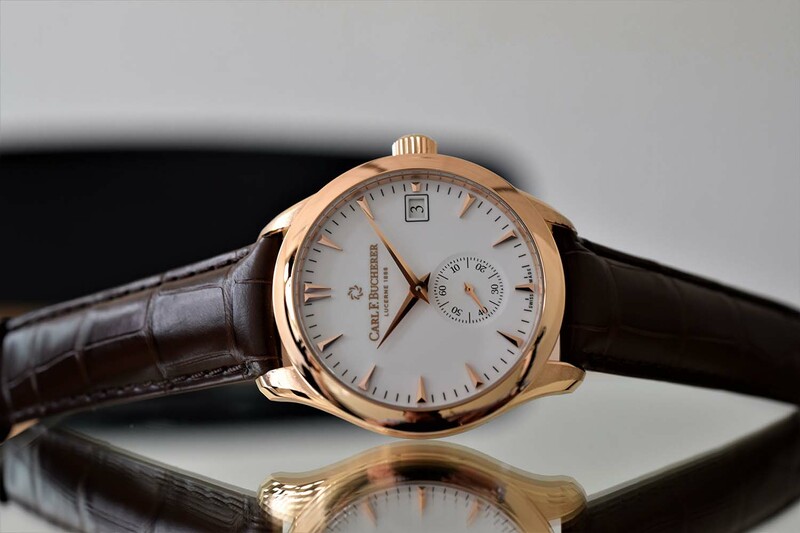 The case combines steel and rose gold elements – bezel, crown and pushers – and the dial features a subtle two-tone scheme, with rose sub-dials over a champagne background. 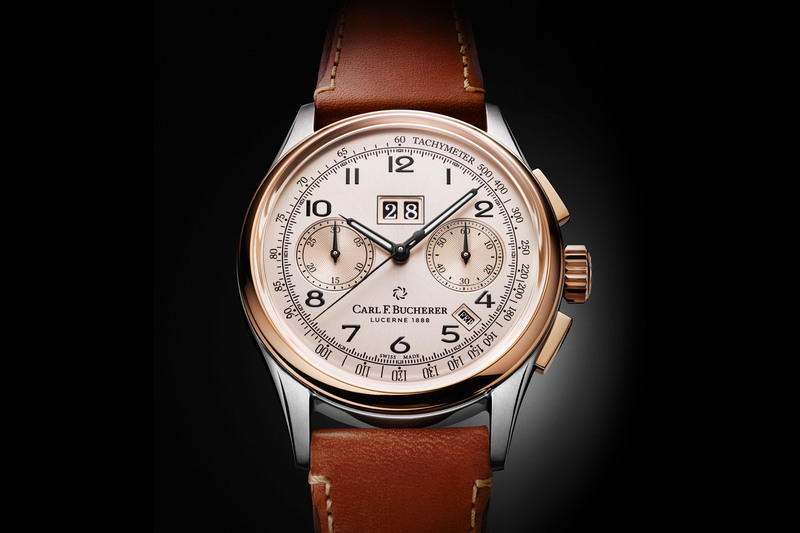 This more luxurious model is worn on a Cognac- brown, vintage-style leather strap. As you might have noticed, the dial of the Cognac Heritage Chrono BiCompax Annual features multiple indications. Besides the chronograph, its tachymeter scale surrounding the dial, and the two-register display, this watch also indicates the date thanks to a double-digit window and the month in a small aperture between 4 and 5 o’clock. Best of all, these date and month indications are managed by an annual calendar, meaning that it will need only one adjustment per year. An annual calendar automatically takes into account the months with 30 or 31 days and only needs to be manually advanced at the end of February. A practical version of the calendar indication. 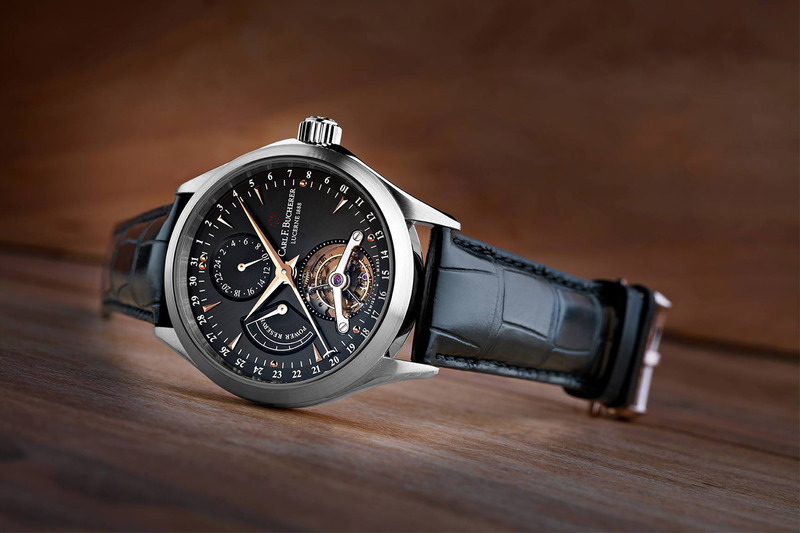 The watch is powered by an automatic movement (ETA based) with a 42-hour power reserve. It is visible through a sapphire caseback. 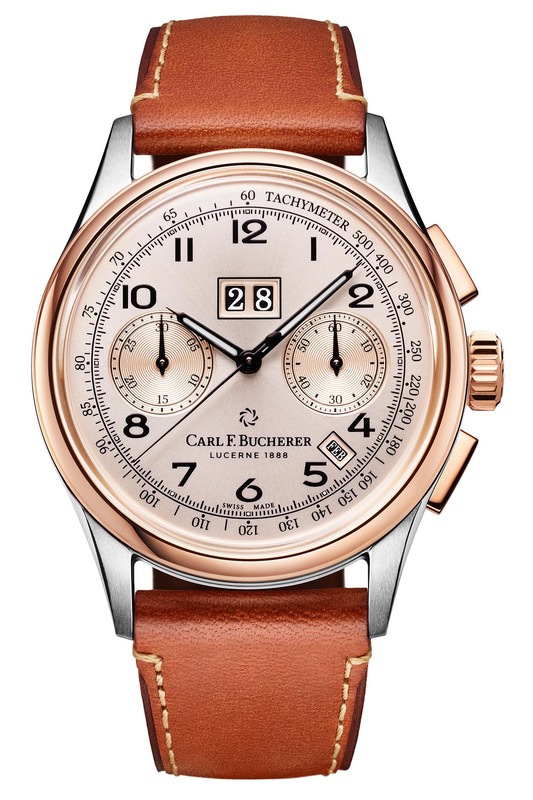 The Carl F. Bucherer Heritage Chrono BiCompax Annual is a limited edition of 888 pieces in each metal, priced at CHF 6,900 (steel) and CHF 10,500 (steel and gold). 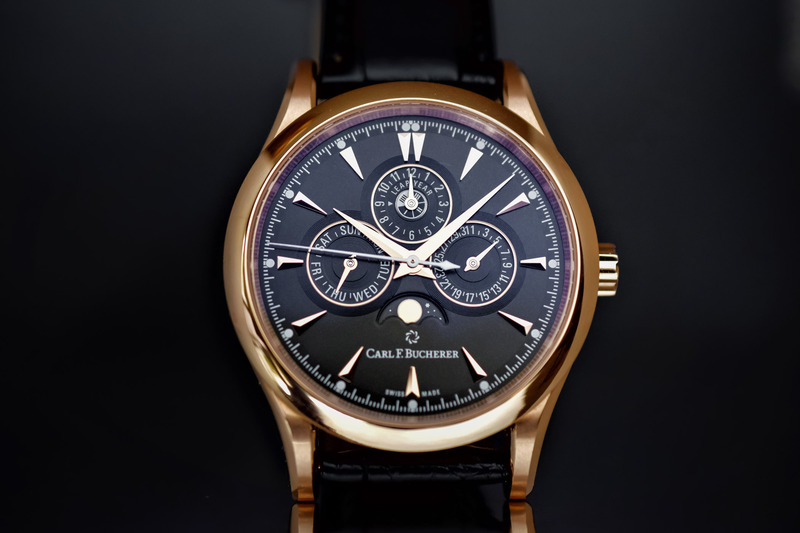 More details at www.carl-f-bucherer.com.